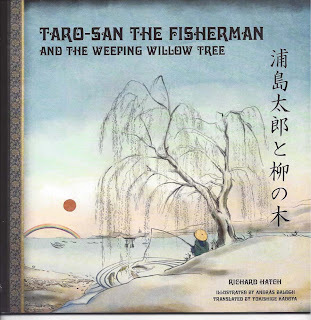 Taro-san the Fisherman and the Weeping Willow Tree is a beautiful children’s book that should be in every library and for that matter every home where intelligent parents wish to have quality cross cultural education and enchanting stories for their children. 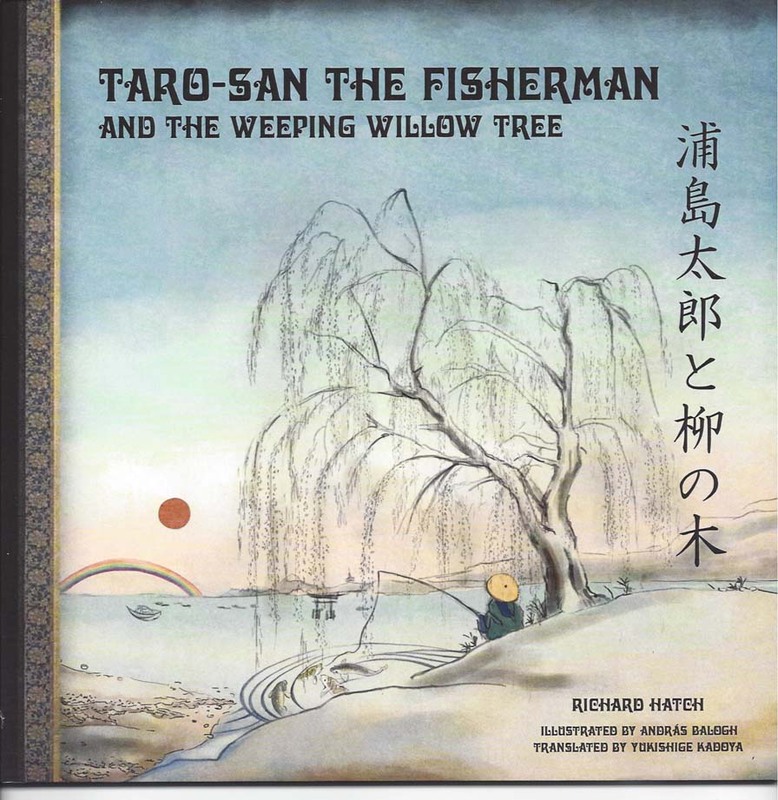 Every page has thoughtful narration of a gentle story of the dream of Taro-san to become a fisherman. The magic of the Kanji characters painted with a brush on the hull of the boat, cast a spell to disguise it as the Willow Tree where Taro-san caught fish as a child. Yokishige Kadoya has made the translations next to the English text of the story written by Richard Hatch. Japanese Kanji characters with English show children the cross cultural nature of language. It also gives this book appeal, to be read to children in Japan as well. In addition to having written this wonderful book, Richard Hatch is one of the most incredible Magicians in the country. He combines storytelling with magic. Richard and his wife do a live version with the “Nankin Tamasudare”, in which a bamboo mat is transformed into a myriad of figures to illustrate the story. 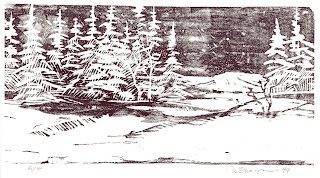 Rosemary Hatch performs music on the Violin to match the narration and punctuate the magical transformations for Richard’s story. Enchantment is the best word to describe this book and its author. A must have for any children’s library, and if you get to see the live show with magic as well you are fortunate indeed. May your dreams and hopes come true. If you've ever wanted to learn the Penny Whistle now may be the time. 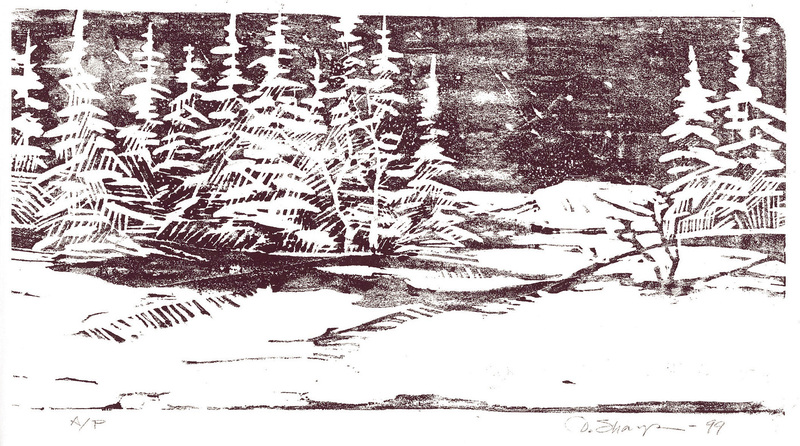 Instructor David Sharp. We will study music from the Celtic countries, England and Europe. Song airs and traditional dance tunes. Bring a D Whistle to the class.